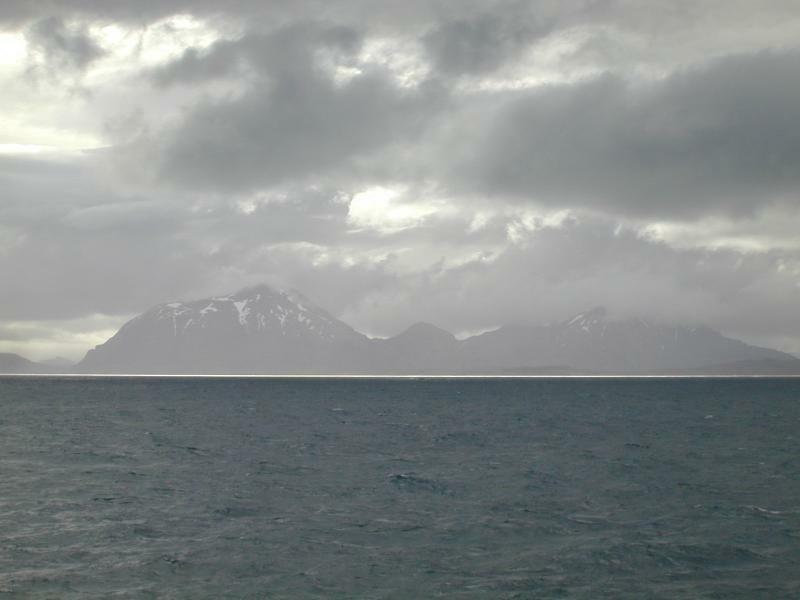 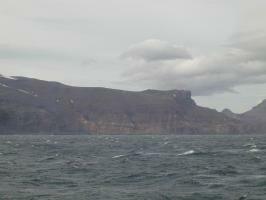 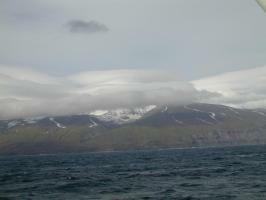 In the afternoon, we head out of the Baie and cruise along the dramatic south coast of Kerguelen. 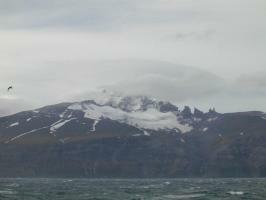 The clouds never quite lift sufficiently to show us the highest part of the island (Mount Ross). 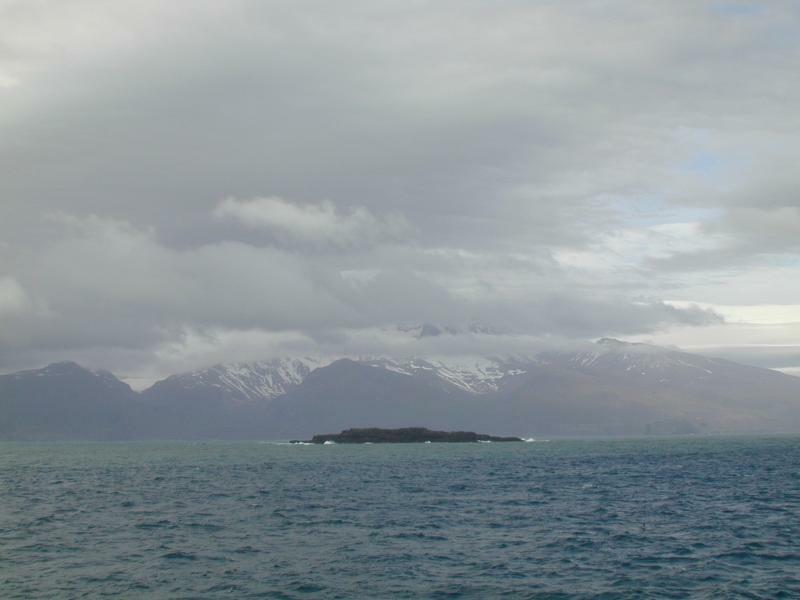  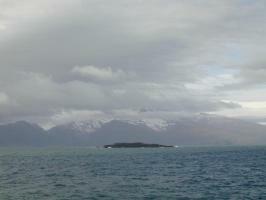 A tiny, flat rock island lies silhouetted in front of spectacular snowy mountains. 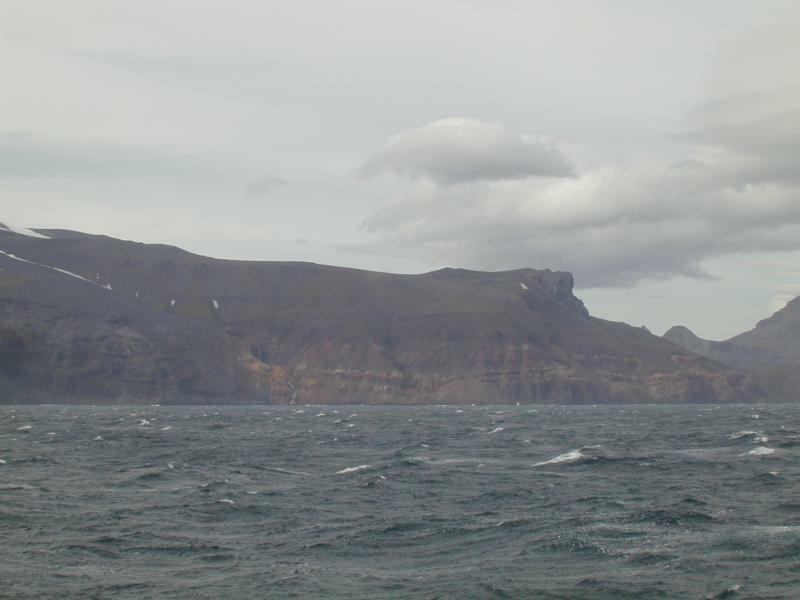 The mountain simply called La Table (The Table), after which Baie de la Table is named (elevation 306 meters or 1003 feet). 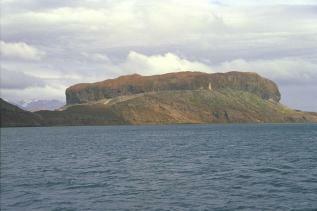 Les Ilots Joubin (Joubin Islets), near the end of Baie de la Table. A distant rift in the clouds causes the sun to paint a brilliant line across the sea. 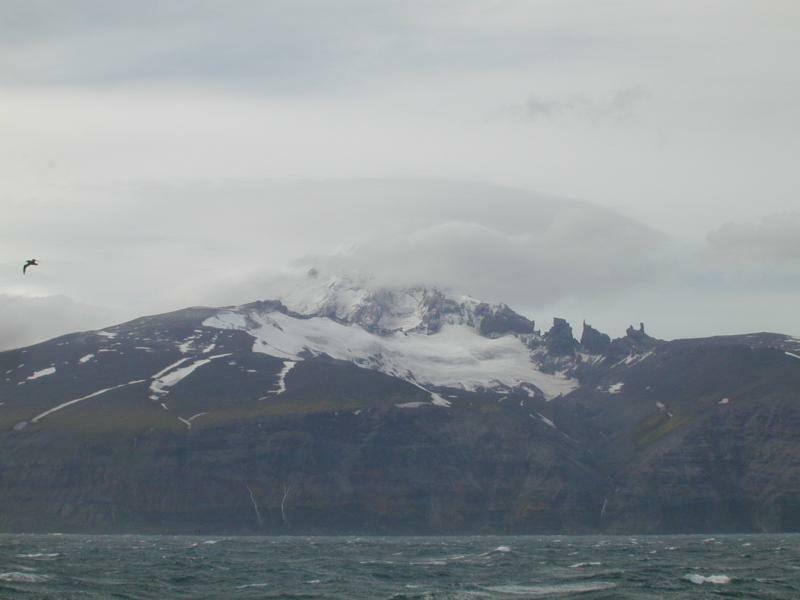 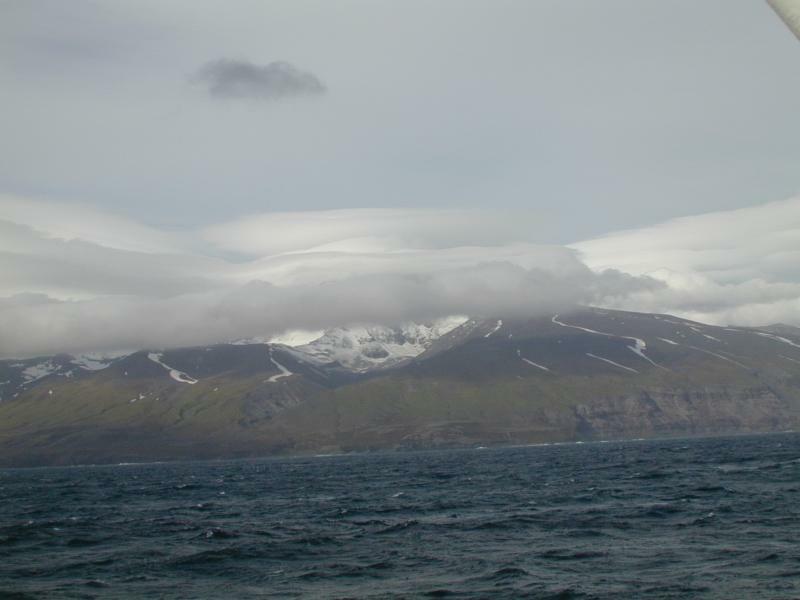 A portion of the Massif Gallieni, the most mountainous part of Kerguelen. 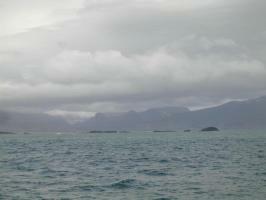 The lower coast shows a bit of green. 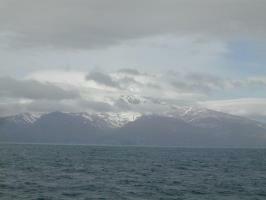 A petrel swoops past our view of a jagged ridge, snowfields, and waterfalls. Cap de Terres Rouge (Red Rocks Cape) at the entrance to Baie des Swains (Swains Bay), where further up the coast we anchor for dinner.